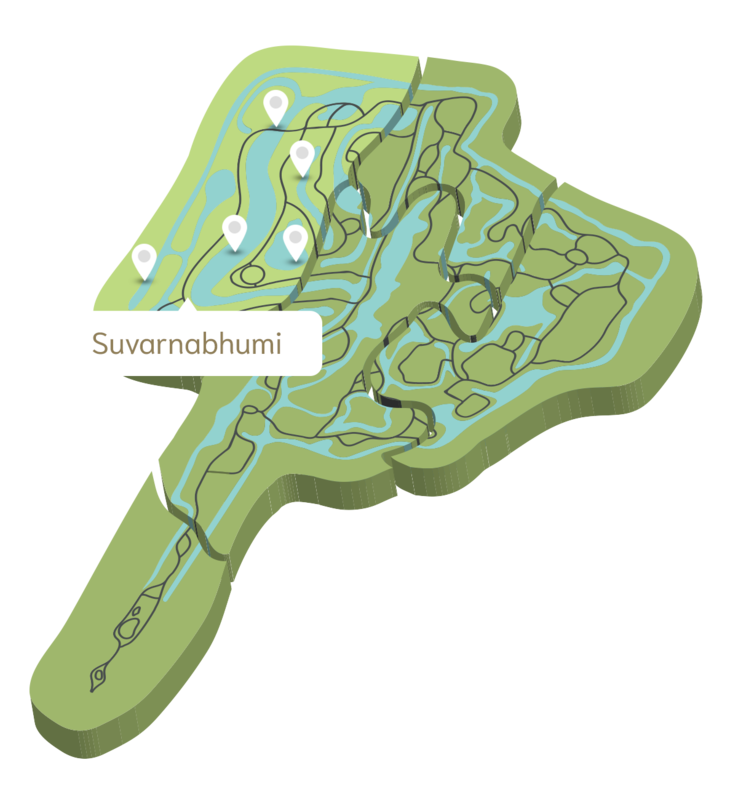 Suvarnabhumi appears in many ancient Indian literary sources and Buddhist texts. 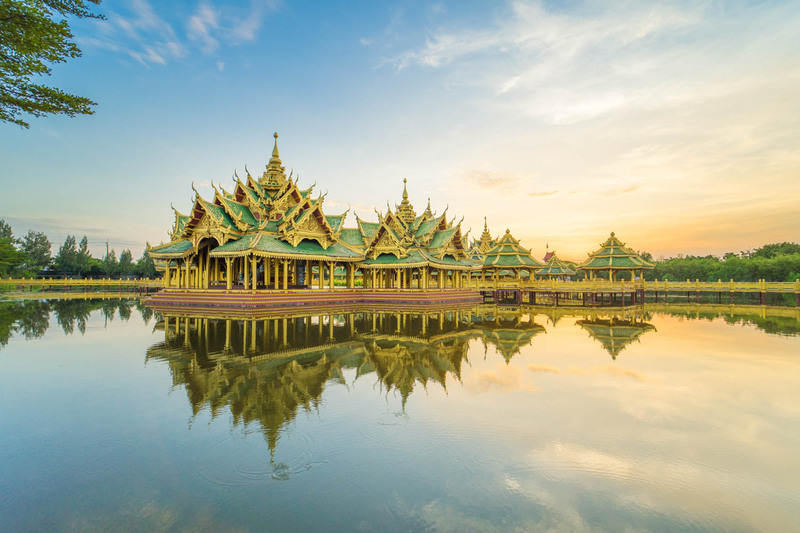 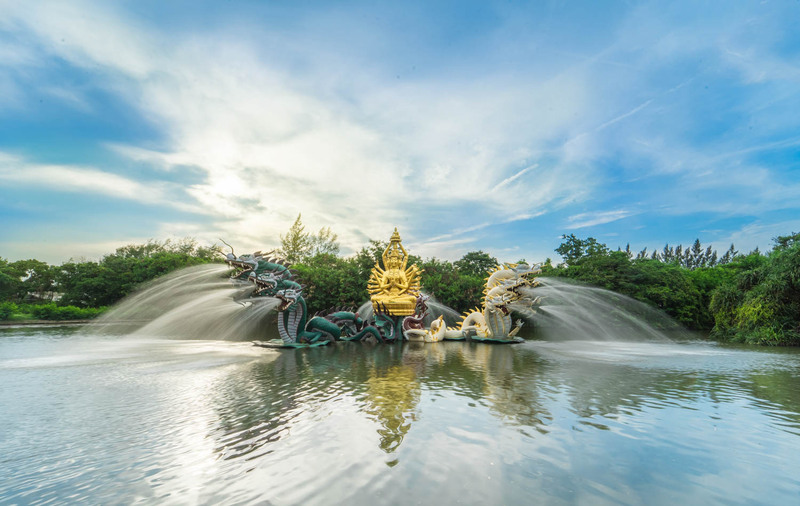 Suvarnabhumi means "Golden Land" and ancient sources have asspciated it with one of a variety of places throughout Southeast Asia region. 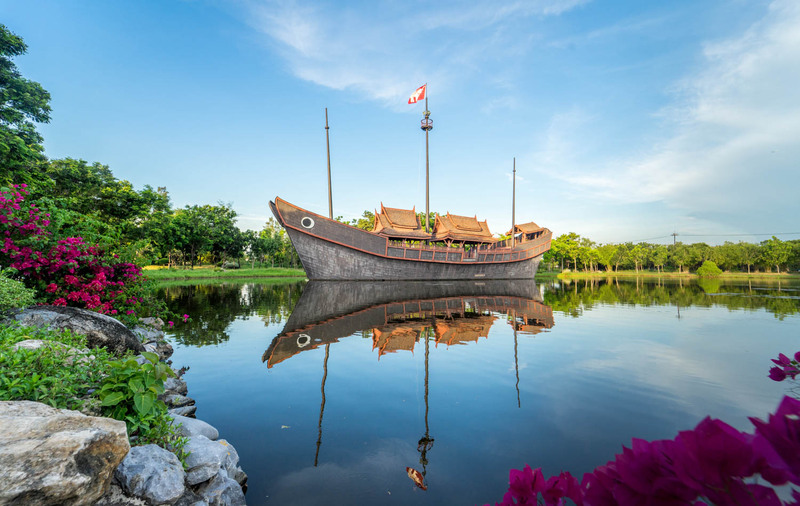 There were texts mentioning Suvarnabhumi as a land of fortune where an Ancient Prince's ship was boarded for trade, but he faced a shipwreck on his way. 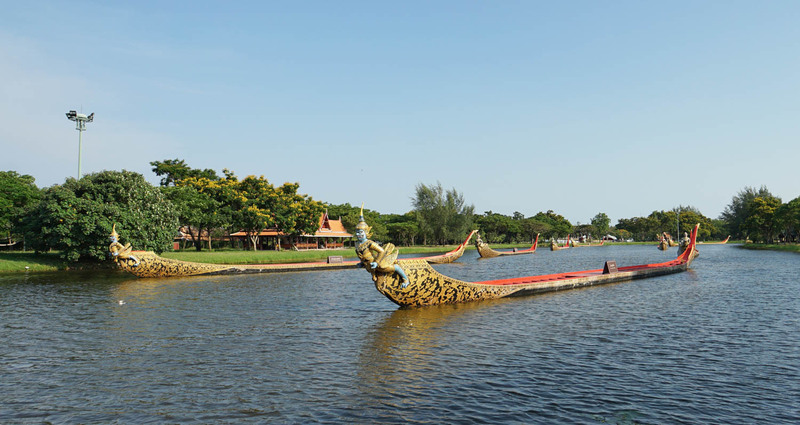 Suvarnabhumi is known to be a land of richness and abundance. 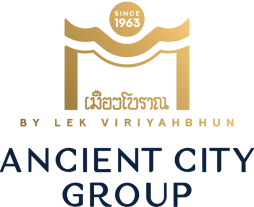 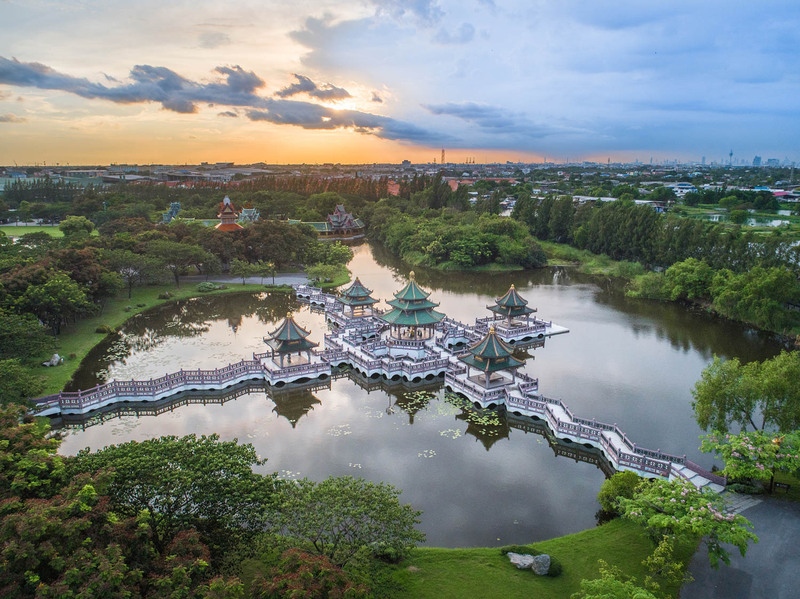 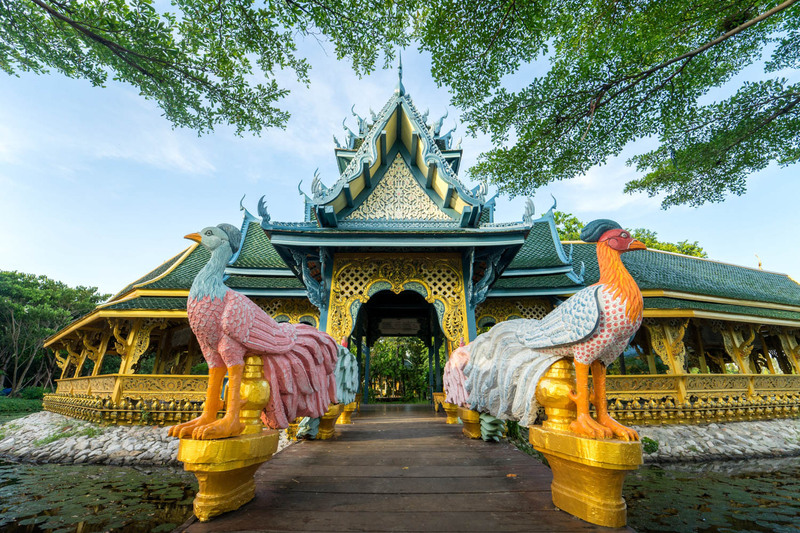 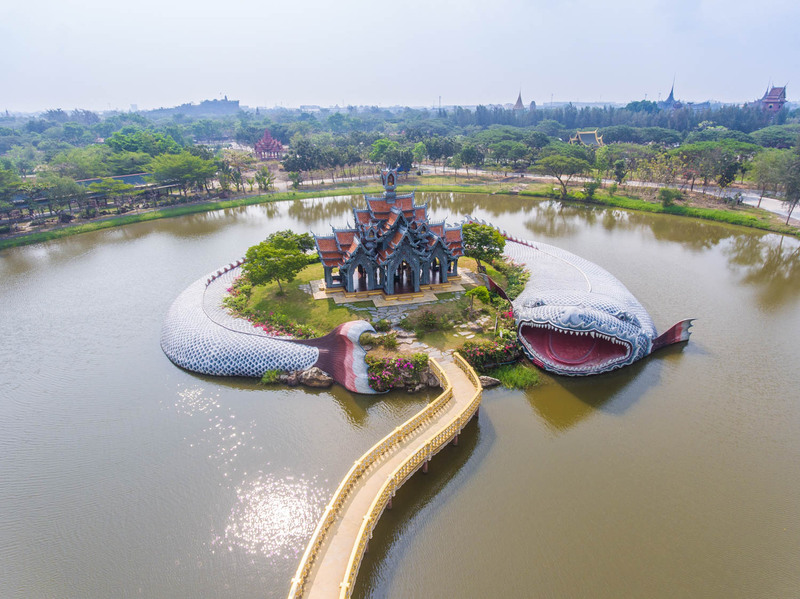 Therefore at the Ancient City, we portray it accordingly, with the most splendid architectures laid out across the zone of Suvarnabhumi area.